← WordPress as a Library Catalog? Who knew??? The interent can be a very scary place … have fun! 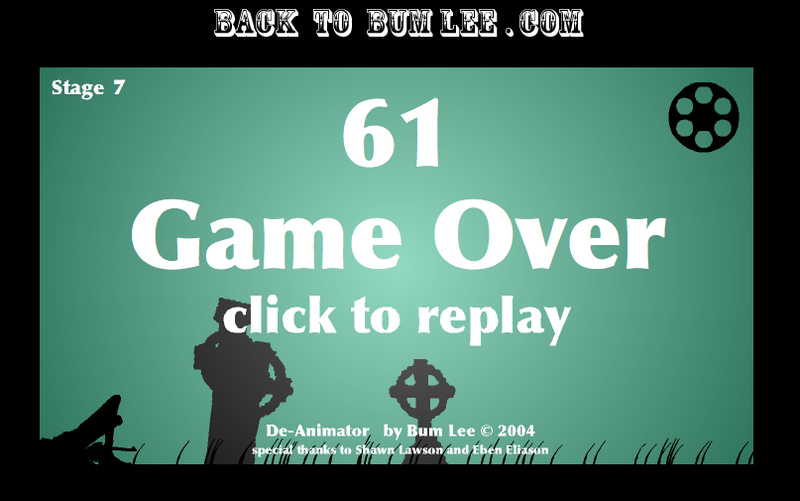 Thanks go to bumlee (the creator of this game) and stumble upon for wasting all my time! This entry was posted in video games and tagged Flash. Bookmark the permalink. You ain’t seen nothing yet, Terry. I’ll find a nice Boccaccio shoot ’em up for you, just you wait and see. 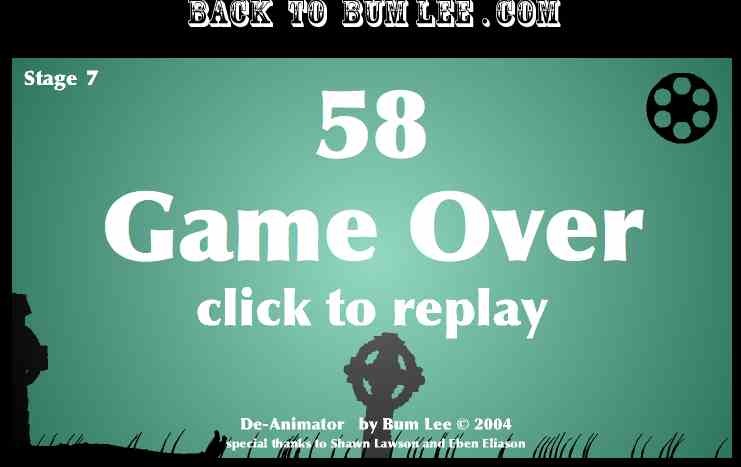 And just so you know I am for real, below is my most recent high score, beat that! Looks like Luke has got me for the moment, but only for the moment. Dudes I totally have been playing this game like craZy in my 7th block class here at school, and I have gotten to Stage 12. Yea I know, I am pretty cool. my high score was somewhere around 200, and i’ve gotten at least to stage 14 (i’m trying to get to it again, but this computer doesn’t want to load it >. i’ll get you a screenshot, just not today its not loading >. 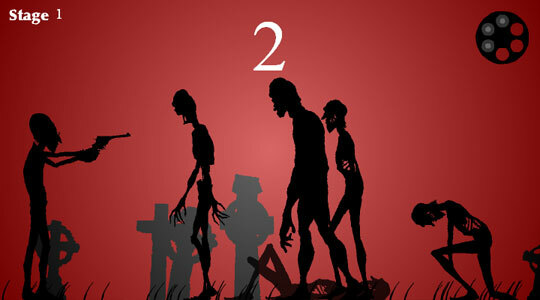 I look forward to it, 200 and you are my De-Animator godhead! I would have to capitulate the crown! You are the reigning champion. 206!!! Wow, I’m gonna have to go into serious training now. Hmmm, and for a prize? YEA BITCHEZZZZZ I GOT 240 KA-MILLION U n00bz R TOTALLY GETTING PWNED ROFLMAO!!! I am a fps maniac and i really don’t understand the flash games fans, does really flash games worth it. If so name me one to try.